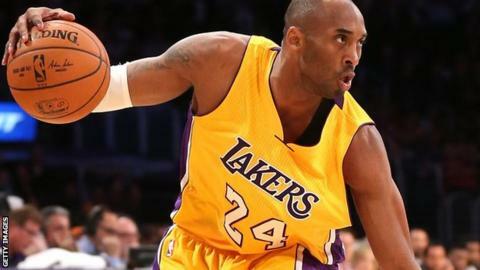 LA Lakers guard Kobe Bryant will be out for nine months as he recovers from surgery on a shoulder injury. The 36-year-old, who suffered a torn rotator cuff during a defeat by New Orleans Pelicans on 21 January, will miss the rest of the NBA season. "I expect Kobe to make a full recovery," said Neal ElAttrache, one of two surgeons who carried out a two-hour operation on Bryant. "And if all goes as expected, he should be ready for the start of the season." Bryant, who joined the Lakers in 1996, passed Michael Jordan to take third place on the National Basketball Association's all-time scoring list in December. He played only six games of the 2013-14 season because of knee and Achilles tendon injuries. The Lakers are currently bottom of the Pacific Division in the Western Conference.